Last year I joined the Empowering Parents parent coaching Team. This is the team of professionals who talk to parents one-on-one by phone about how to apply specific parenting tools to their family. One afternoon I received a call from a mother in California about her son with ADHD and Slow Processing Disorder. She and her partner had been using The Total Transformation Program and our coaching service for a while, but this was the first time I had spoken with her. 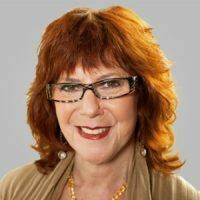 In order to be helpful I needed her to give me a quick synopsis of why she bought the program—which I had the privilege of developing with my late husband, James Lehman—and how long she had been working with a coach, along with other pertinent information. This mom was incredibly articulate and described her son as being relentless in challenging the limits that were placed on him. She and her partner had tried other parenting tools and methods for disciplining children, but they pointed in the direction of giving away her power as a parent, and she felt helpless and ineffective. When this couple bought The Total Transformation they were wondering if it could help them parent kids with ADHD. Once they heard that one of my favorite concepts James repeated throughout the program was the advice to “parent the child you have, not the child that you wish you had”—regardless of the diagnosis—the rest followed. This is just one example of the impact we have as parent coaches. I loved doing the work, especially when I got to help someone who was struggling but suddenly started to understand how to apply the program tools and lessons—and see results. It’s an amazing experience. Many families who contact parent coaching are eager for things to change right now. I often got calls from people who just purchased the program, and I would help slow them down in their process. 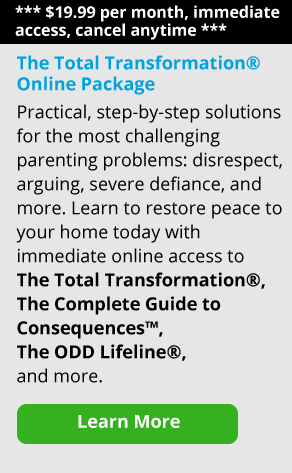 They were desperate to get the principles to change what was happening in their family system and terminate behavior disorders, but I help them understand that there are some changes that can happen immediately and others that take time. Change is not easy for anyone. The key is not to give up or to give into accepting the status quo. Those two California moms didn’t give up. They learned more effective ways to set clear limits on their son and developed a reward system, all of which their son responded very well to. I was so proud to hear about the work that this family was doing together. I’d always used the pseudonym “Ruth” while working on the line, to help ensure that the focus remains on the callers’ needs and not on me. But after hearing this mom’s story I couldn’t help but introduce myself as Janet Lehman. The story of this family’s transformation is truly powerful and one that many parents can learn from. I’m so glad they were willing to share their story with other parents facing ADHD in children who are also looking for answers.